This year is just flying by! I am almost done with my first quarter already! I can't believe it is almost time for Halloween and all of the holidays that follow! 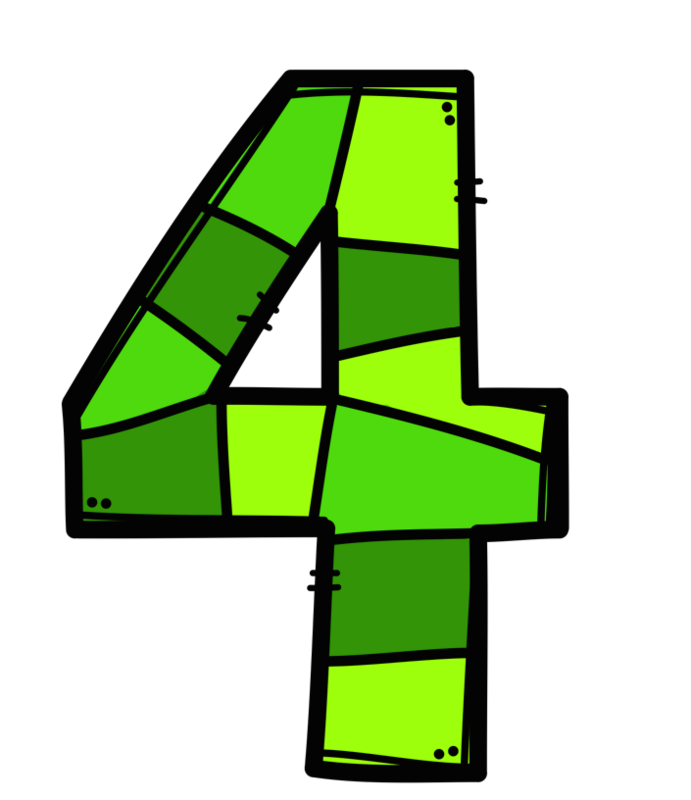 If you are in need of some new teaching resources you won't want to miss our weekly giveaway! Co-hosts: An Apple for the Teacher, The Chocolate Teacher, Pam's Place, A Library and Garden, Schoolhouse Treasures, Ms K, and ZippadeeZazz. Rules: Use the Rafflecopter to enter. Giveaway ends 10/7/16 and is open worldwide. 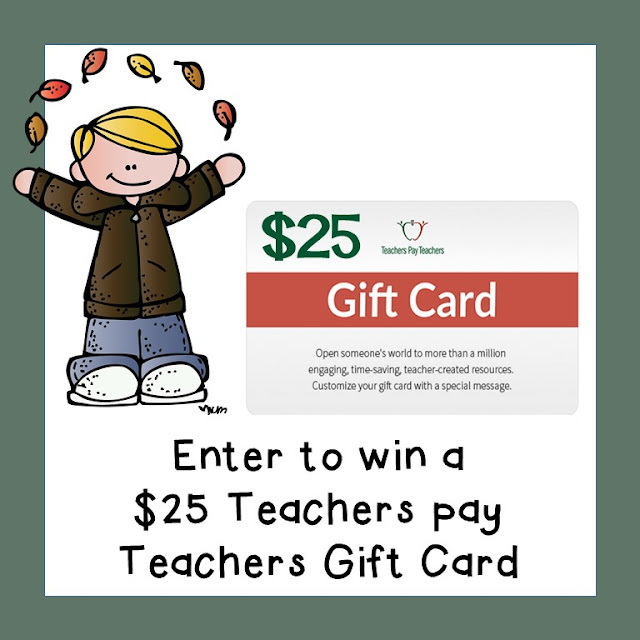 Are you a Teacher Blogger or Teachers pay Teachers seller who wants to participate in giveaways like these to grow your store and social media? Click here to find out how you can join our totally awesome group of bloggers! We all know that teaching is not the highest paid profession in the world, and we often spend a lot of our hard earned money buying supplies for our classroom. So, we could all use some tips for saving money right? 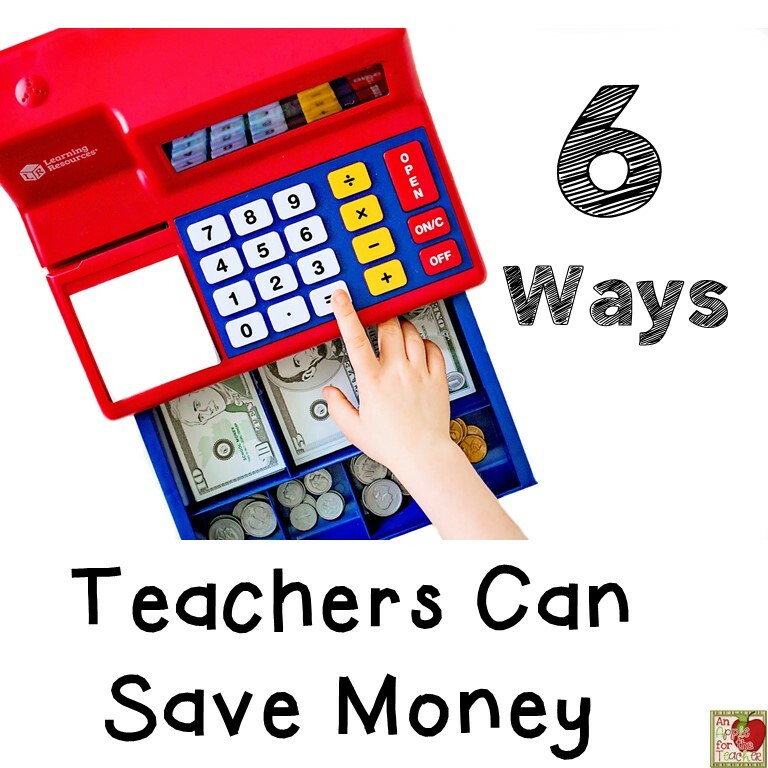 Here are 6 easy ways teachers can save money. This post contains affiliate links. I earn a small commission each time someone makes a purchase using one of my links, which helps to support the blog. All opinions are my own and I only promote brands and products that I have used myself and truly love. I know that I am always tempted to open up my Amazon cart whenever I see a great book or idea on a teaching blog, but sometimes you may be able to borrow a resource from a colleague who already owns one. Check your school library for that great read aloud or ask a team mate if you can borrow their base ten blocks for that next lesson you have in mind. Our local university has an educational lending library that loans out books, fossils, math manipulatives, and more! See if you may have a similar resource available near you. Just remember to return it in the same condition as you received it (I know those of us who are willing to lend out items will LOVE you for it)! Speaking of Amazon, this is seriously my newest addiction. Not only does it save me money, but it saves me time because I don't have to run to the store as often when we run out of things like toilet paper for my house or Expo markers for my classroom. I also have items that my local stores always seem to run out of. If you shop at Wal-Mart (either for you classroom or personal needs), you NEED to download the savings catcher app! If you don't have a smart phone you can enter your receipts right at the website as well. After you shop, simply scan your receipt using the app or type in the code at the bottom of your receipt into the website. If a local competitor offers a lower advertised price on an eligible item that you purchased during that shopping trip at Wal-Mart, you automatically get back the difference on a Wal-Mart Rewards eGift Card or a Bluebird by American Express Card. These amounts can be used to shop at Wal-Mart stores or online at Walmart.com. The app will also save your receipts for you if you ever need to return something. I know many of us have "working lunches" eating at our desk, so many of you are already using this tip. If you aren't though, you may want to consider this option as dining out can get expensive fast! But here is a secret that you may want to try: When you cook dinner, make an extra portion so that you have left overs to pack for the next day's lunch. You can pack your lunch as you are serving your family their dinner. Super easy! 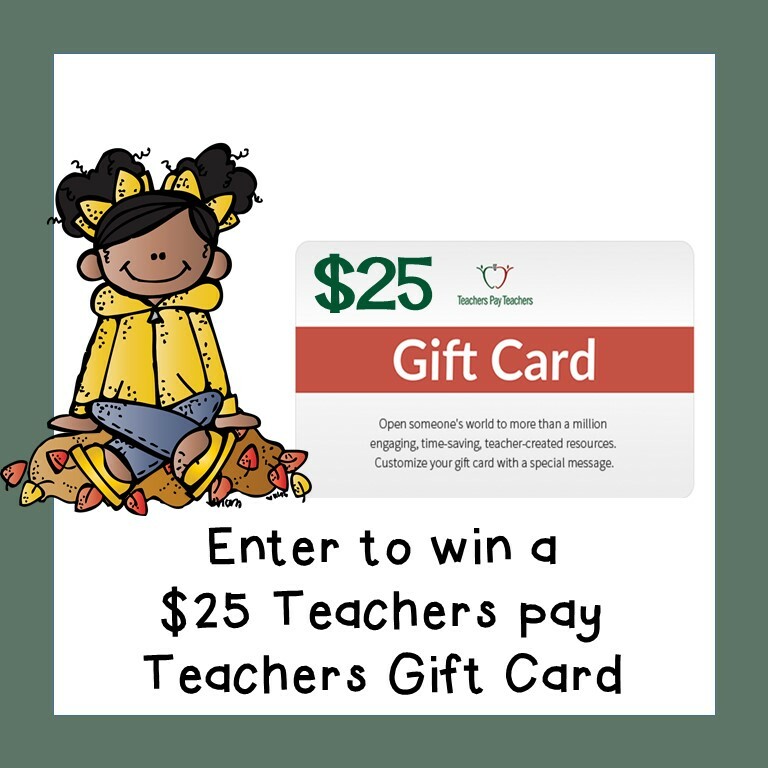 Have you found a great resource on Teachers Pay Teachers that you can't wait to use with your class? Most likely, one of your teammates would love it as well. Did you know that TpT offers an option for you to buy multiple licenses at a reduced rate? If you click on that edit link, you will see this screen where you can make multiple purchases. To save money by teaming up, ask a teammate if they would share the price with you when you purchase that awesome resource. 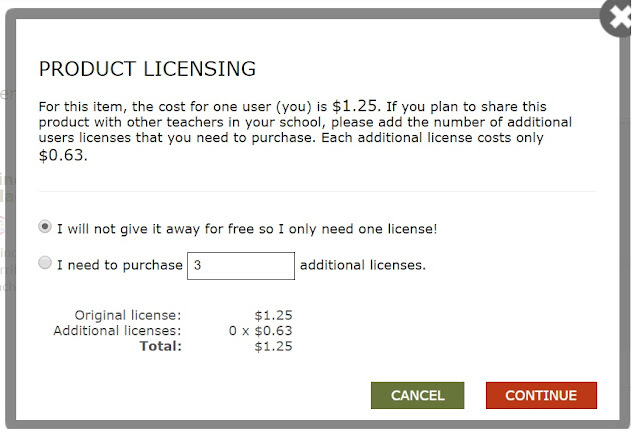 Using the example above, if the product above sells for $1.25 for the first license, and $0.63 for the second license. The total would be $1.88 which divided by two would be $0.94 cost for each of you. If you are purchasing for your team, you would save even more by splitting the cost multiple ways. The above example is not super expensive, but think about how much you could save by sharing on a larger purchase or bundle! You might even ask your principal if the school would buy the resource for you because Teachers Pay Teachers accepts School Purchase orders! For more ways to save money on Teachers Pay Teachers, check out this blog post. Look for Teacher Giveaways for things that might be helpful in your classroom. I have been able to win several things for my classroom including: Teachers pay Teachers gift cards, books, a pencil sharpener, an Erin Condron planner, and math manipulatives. I host giveaways at least once a week on my blog and you can find the most current ones here. 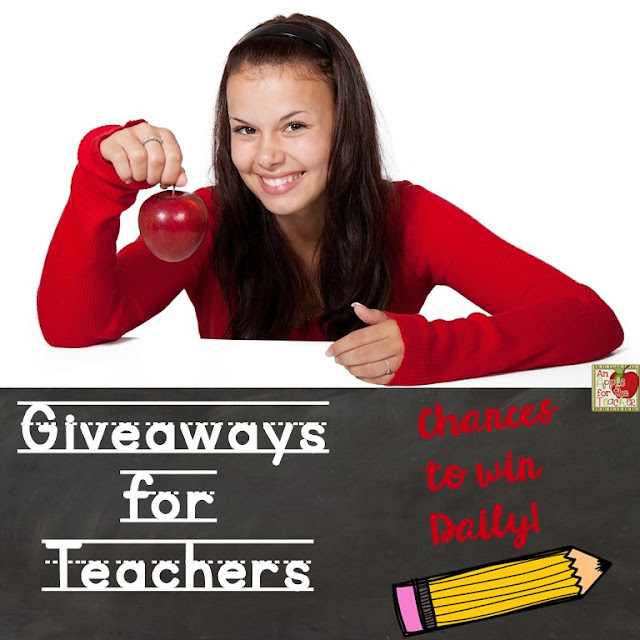 You can find daily deals for teachers here to save even more money! I hope you have gained some valuable ideas for saving money as a teacher. I would love to hear some of yours! Leave a comment below or join in the conversation at Facebook. 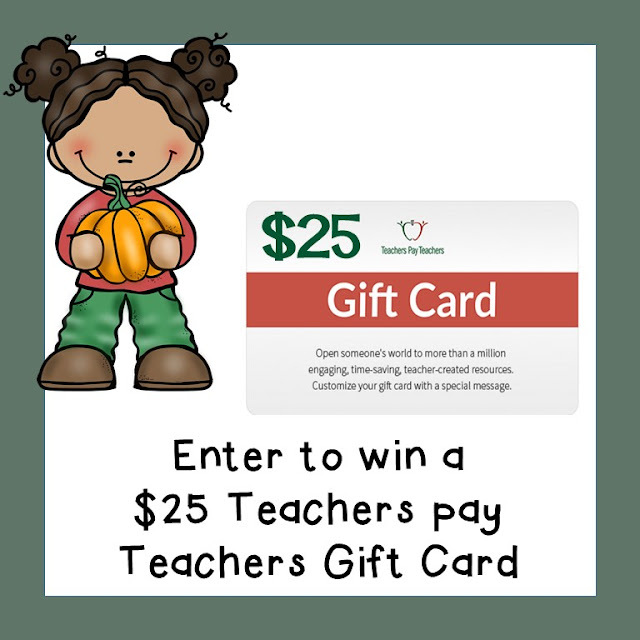 Time for our weekly Teachers pay Teachers $25 Gift Card Giveaway! I am so appreciative to all of the bloggers who come together to offer these giveaways, and of course appreciate all of you for entering! Just our small way of saying, "Thank you for all you do!" Rules: Use the Rafflecopter to enter. Giveaway ends 9/23/16 and is open worldwide. 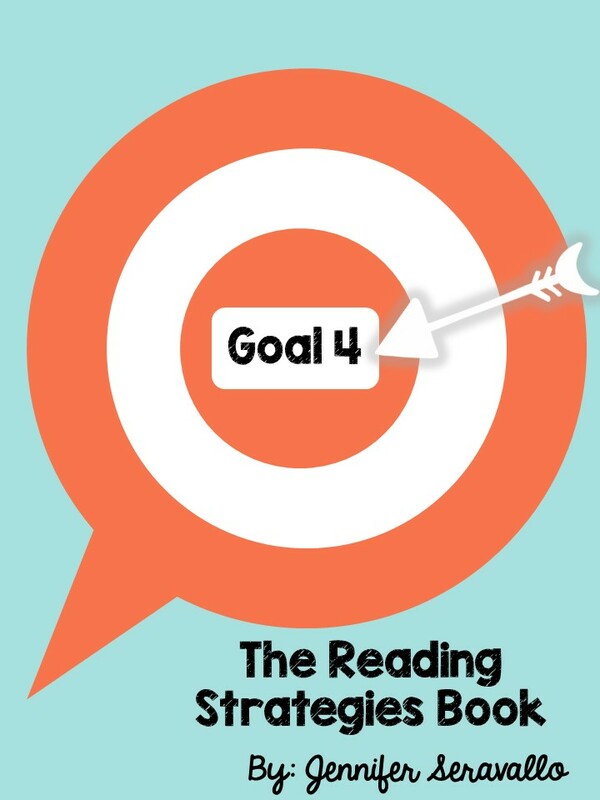 Welcome to our book study of The Reading Strategies Book: Your Everything Guide to Developing Skilled Readers by Jennifer Serravallo! I am joining forces with some other fabulous teacher bloggers to discuss the reading strategies we come across in this AMAZING professional text! If you missed my first post about this book study, you can find it here, along with a suggested way to set up your book for easy reference. Writing about reading incorporates both the thinking readers do as they read and the ability to write a piece that captures and furthers their thinking. Many students don't realize that readers need to think deeply about the text. We need to teach these students that thinking about what we are reading matters. Serravallo warns that teachers need to be careful that when we assign written responses to students, that the writing about reading doesn't overtake the enjoyment of reading. She suggests offering readers the choice of when and how to respond. Most of the strategies in this section are geared more towards upper elementary and middle school grades. Serravallo says that this is because writing about reading in the younger grades can take so long, that she questions whether it is worth the time. She believes that younger students need to focus on reading a lot, strengthening their print work, fluency, and comprehension. * have greater oral expression of their comprehension than their ability to articulate their ideas in writing. * may be able to use writing as a tool to support their comprehension. This may be especially true for students who may have a hard time remembering what they read without written notes. * have strong writing abilities, but who show superficial thinking in their responses to reading. This strategy is one that students can use as they are reading when they don't want to stop reading to take notes, but they want to remind themselves to come back to take notes. 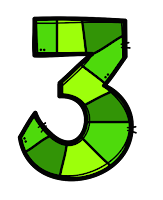 As they read, they can use a quick think mark symbol to note their thought. They can come back to this page and ask themselves, "What was the thought I was having on this page?" You can create an anchor chart like the ones below to teach students common symbols and what they mean. I really just love the title of this strategy, because I often feel like I need to buy stock in sticky notes for my classroom! I also love this strategy because it was one that I used as a student in high school when I didn't own the book but I wanted to keep track of my thinking. This strategy encourages students to make use of sticky notes to document their thinking. Serravallo suggest students prompt themselves as they read and have thoughts about what they are reading, "If I write this down, will it help me read better? Talk to my reading partner better? Help me talk to my teacher about what I am reading? If the answer is yes, they should write it down! I chose this strategy because my students often have difficulty writing summaries. Research shows that one of the best ways to understand what you read is by summarizing it. So... needless to say, this is an important skill. 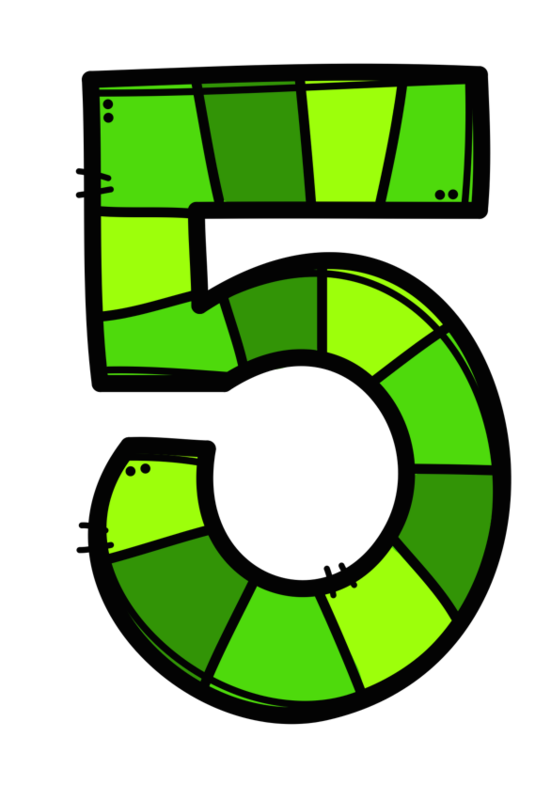 You can model this strategy on your hand, telling students to think of the 5 most important events in the story and to say them out loud in order using each of your 5 fingers. The students should then write out each of these events using one sentence per event. 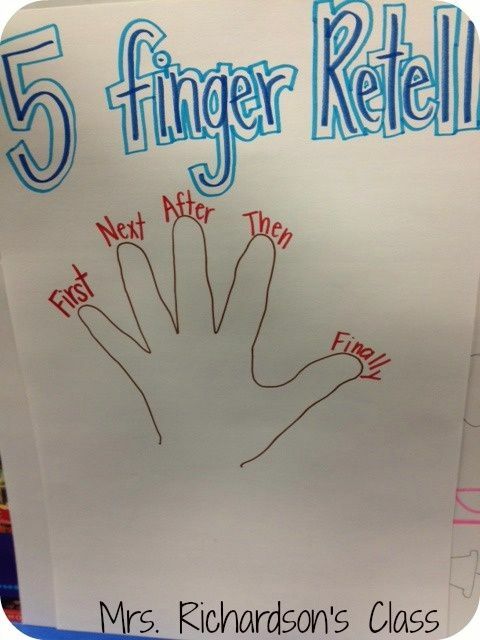 You could create an anchor chart similar to this one from Mrs. Richardson's Class. Remember, we are only picking and choosing some of the strategies to share with you - there are so many more great ones in this section as well as the rest of the book! If you would like to purchase the book mentioned above, you can find it here. 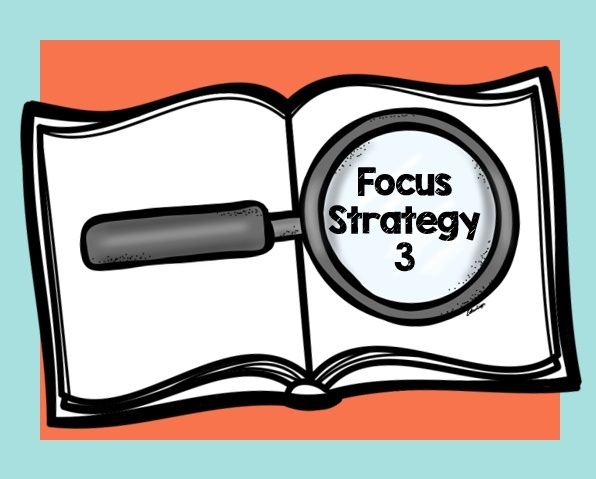 Katie from Resources by Roltgen is officially hosting goal 13 over at her blog, so make sure you head over there to see which strategies she chose to share! While you are there, be sure to leave some comment love! If you would like to link up your own blog posts about this book, feel free to do so in the linky below! With all of the money teachers spend at back to school time, who couldn't use a little free spending money? Now is your chance to win a $25 Teachers Pay Teachers Gift Card to help get you ready to teach this fall! Co-hosts: An Apple for the Teacher, Mickey's Place, Just Ask Judy, Ms. K, ZippadeeZazz, Glistening Gems, La-Nette Mark, and Growing Grade by Grade. Rules: Use the Rafflecopter to enter. Giveaway ends 9/16/16 and is open worldwide. This goal is all about supporting students' conversations about their reading. Serravallo says that book clubs and partnerships play a crucial role in both supporting comprehension and in making reading a social process. She says a good book club or partnership can be engaging and invigorating, but when they don't go well, time is wasted with off task behaviors. Serravallo suggests that students need instruction on both conversation and in conversation about books. How do I know if this goal is right for my students? The way to assess your students' skills in this area is by listening to your students' conversations about books. Serravallo suggests taking notes and transcribing what you feel. If you feel conversational strategies are lacking, this chapter will give you ideas to help. I love that this strategy teaches students how to invite those quieter students who are not participating into the conversation! Even the quietest students have something to offer! This strategy asks students to pay attention to who is talking a lot and who is not talking. Tell them to be prepared to invite the quieter voices in the conversation with a question. Have the student ask, "(Name, what are you thinking about this?" Active listening is an important part of being in a book club or reading partnership. Students should not simple say what they have written down in their notes, but they should listen to what their partners are saying. This strategy asks students to say back what they think they heard, then try to paraphrase it in their own words before adding on their own thoughts or comments. This strategy is a great way for students to prepare ahead of time for their book club or partnership meeting. Students look over the notes and "jots" they have taken as they were reading. They should put stars next to the ones that they think will be conversation ready. Other books by this author that I LOVE! Melissa from Peas in a Pod is officially hosting goal 12 over at her blog, so make sure you head over there to see which strategies she chose to share! While you are there, be sure to leave some comment love! 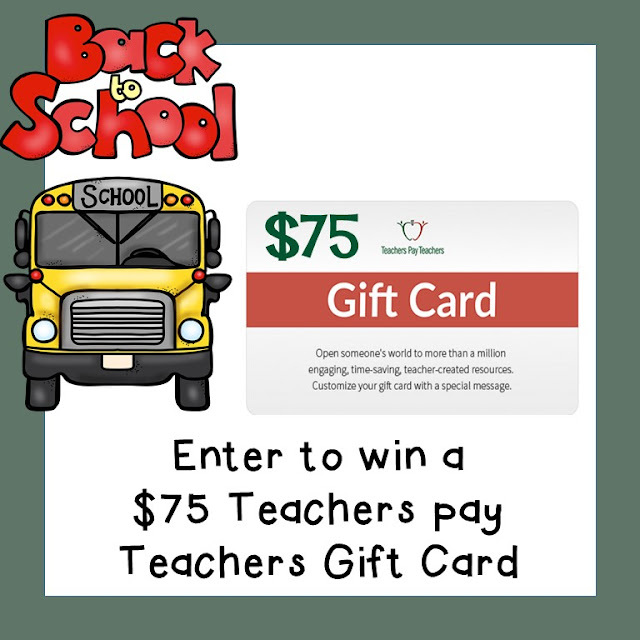 Time to spoil our amazing readers with a $75 Teachers Pay Teachers gift card! Giveaway organized by: An Apple for the Teacher, A Plus Kids, Katie Roltgen, The Literacy Garden, Heart 2 Heart Teaching, The Corriganite Nation, Kamp Kindergarten, The Education Diva, Paula's Preschool and Kindergarten, The Chocolate Teacher, MM Bilingual, Reading and Writing Redhead, Teach with Hope, Carrie Lutz (My Classroom Callouts), Samson's Shoppe, Peas In A Pod, Lattes and Lunchrooms, Teaching Biilfizzcend, and Carla Hoff. Rules: Use the Rafflecopter form to enter. Giveaway ends 9/13/16 and is open worldwide. This goal is all about improving comprehension by helping students to understand vocabulary and figurative language. Study after study has linked a reader's ability to understand vocabulary and language in text to their reading comprehension. Research has shown that in order for students to truly understand what they read, they must be able to understand 95% or more of the words in the text. Because vocabulary is so crucial, many schools and teachers have rushed to implement vocabulary programs. 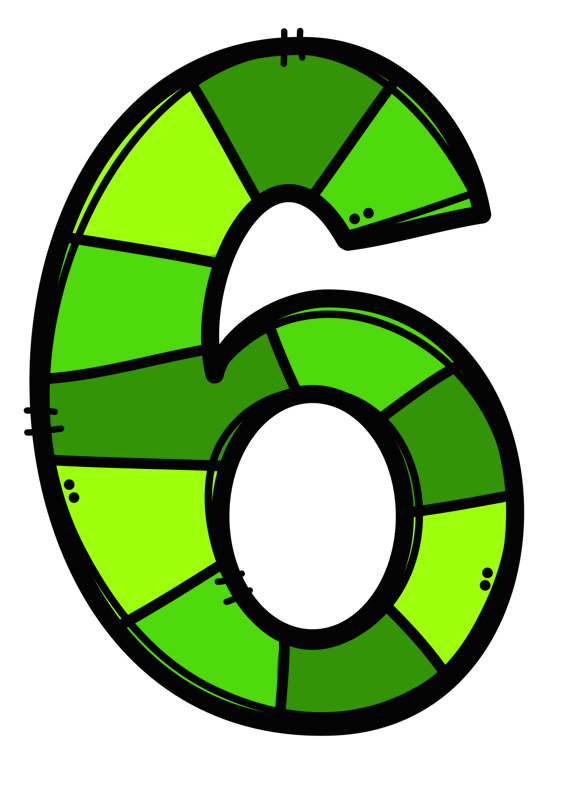 However, Serravallo points out that research suggests that most vocabulary learning occurs unconsciously through normal reading, writing, speaking, and listening activities. The best way for teachers to support vocabulary growth is "by creating a classroom in which children read a lot are encouraged to notice when words are news, learn strategies for figuring out what those words may mean, and are encouraged to use those words when they write and speak. There are several ways to determine if this goal is right for your students. One way is to use a standardized grade level vocabulary assessment. Flocabulary has grade level lists here. You could also ask about unknown words in linger passages to see if students have the ability to read for clues and details to infer the meaning of the word. Students who don't know a lot of words, or don't have the skills to figure out meaning will benefit from this strategy. We have probably all noticed the words that our students tend to use over and over again. When they describe their characters as "nice", or how they had "fun" over the summer. You may have wondered how to break your students of this habit, and if you have, this strategy is for you! I love that this strategy not only benefits their reading skills, but also their writing skills as well. Using this strategy, you tell the student that they need to notice when they choose these overworked words, and then stop and say, " What do I really mean here?" They should then revise their language to be more specific. Instead of saying a character is nice, they might ask themselves what things the character does that makes them nice. Perhaps they go share their toys, or go out of their way to make a new student feel welcome. In these situations, the character might be better described as generous or compassionate. When I use this strategy, I try to have a character trait list available to help students pick better word choices. Mrs. R has a free one available here. This strategy asks students to insert a word that they know would fit the sentence when they come to an unfamiliar word. For example, if a student encountered the word furious in a sentence, but didn't know the meaning, they could replace that word with a word that might make sense. "When her best friend grabbed her toy, she was furious with him." The student would ask themselves what word might make sense. How would they feel if their friend grabbed their toy? Mad? Angry? 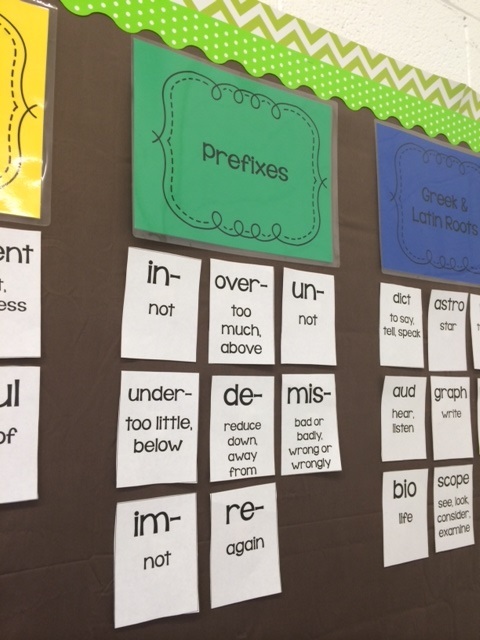 This is a strategy that we use often in third and fourth grade because we study prefixes and suffixes. In this strategy, students use word parts they may already know to determine the meaning of an unknown word. I have a word wall for upper elementary kids that focuses just on these word parts. Kelly Malloy is a participant in the Amazon Services LLC Associates Program, an affiliate advertising program designed to provide a means for sites to earn advertising fees by advertising and linking to amazon.com.